In our first Guestlogix webinar which took place this week, Four Keys to Making Air Travel a Wonderful Experience Again, Dr. Gary Edwards and Guestlogix SVP Robin Hopper walk through the four key ways that airlines can take advantage of new technologies to overcome the passenger's state of learned helplessness. This inspired us to look further into how IT is trending in the world of Air Transport, and we were lucky to come across SITA's report on the topic. 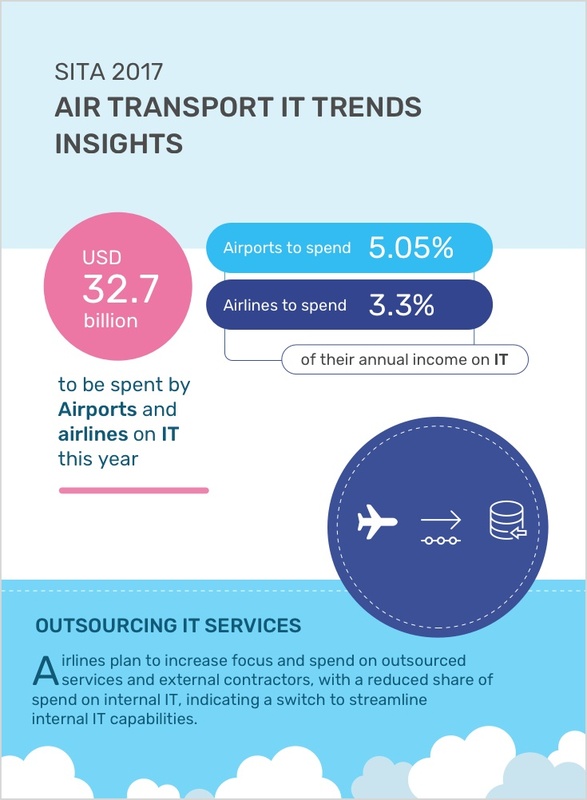 The Air Transport IT Trends Insights document is a compilation of survey results completed by airlines and airports in regards to IT spend, IT investment priorities, self-service, mobile and emerging technologies.